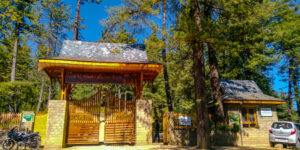 It’s not often that you discover unexplored paradise within the immediate periphery of Shimla. 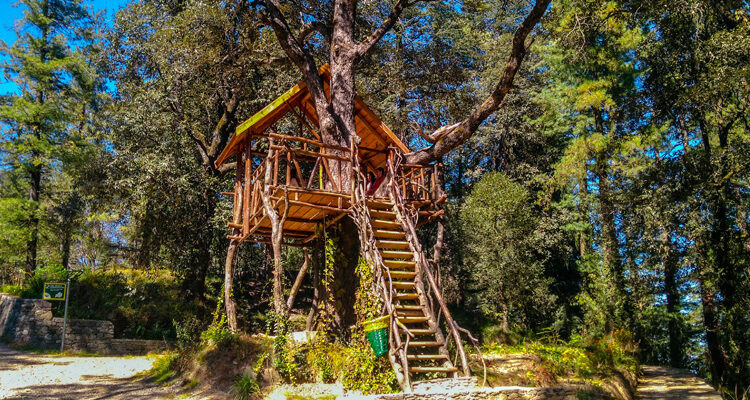 Our resident traveller did just that as they ventured onto the newly renovated Craignano Nature Park from Mashobra, a sleepy little hamlet about 13 kms from Shimla. 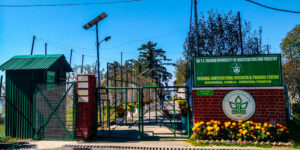 Craignano comes under the 3 kms radius of Mashobra and 16 kms from Shimla. With an entry fee of INR 80/- only, it is a quintessential walk-in-the-park experience. 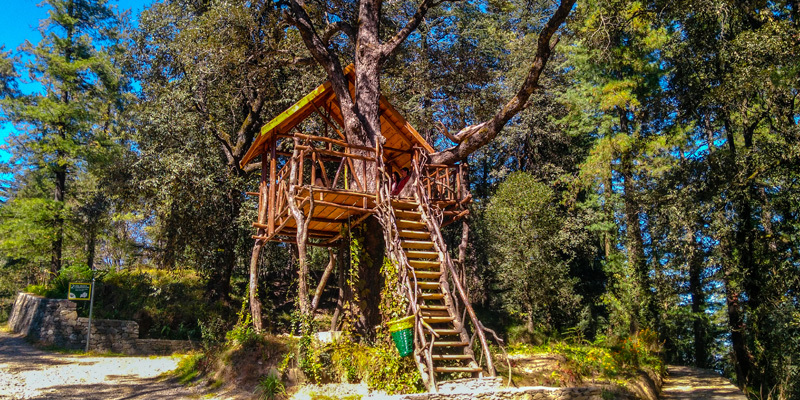 The visitors have the unique opportunity of climbing a tree house in the park, take a lazy stroll around the spacious park interiors which is rich with flora and fauna or let their inner child out with the fun swings & see-saws placed in the park. 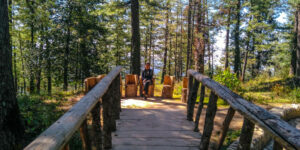 The ones who love to be alone or explore can descend to the lower trails or even camp in the park which has designated camping spots. 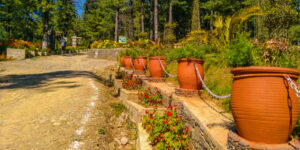 As our travellers make their way from Craignano to Koti Resort and further to Kiar Koti via the Manla Homes route, they come upon the beautifully maintained Dr. YS Parmar Horticulture Center which is worth a visit for visitors of this area. 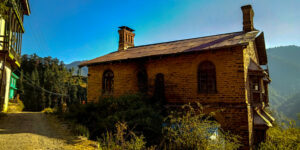 They also chance upon the age-old British bungalow which emanates a haunted aura and the greenhouse gardens in the Kiar Koti village. 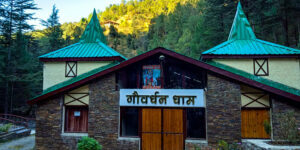 The offbeat nature of this route spellbound our travellers as they proceed to the Gowardhan Dham Goshala (a state of the art cow-shed) via Koti. 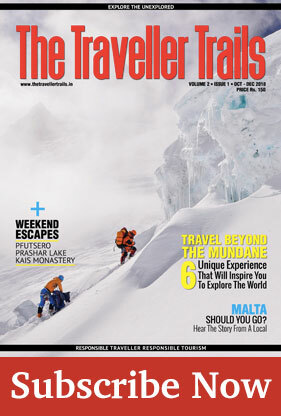 Their objective: to explore a hidden waterfall within the periphery of Gowardhan Dham. The waterfall is situated near the village Mungar – which is located to the left of the bridge after crossing the Dham while going towards Shimla. 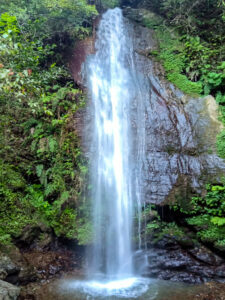 A short trek of 20 minutes brings you to the hidden waterfall where one can just let go and be in communion with nature. 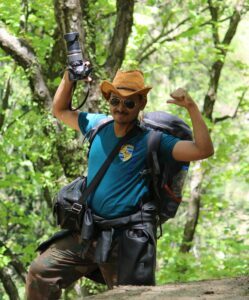 The trek isn’t that well demarcated but anyone who is adapted to following a mountain trail can keep following the stream uphill to reach the water source. Asking for information from locals before starting the less than a kilometer trek isn’t a bad idea. As our travellers make their way back to Shimla, they can’t help but wonder about the number of unexplored destinations that Shimla has to offer in the 15-20 kms periphery!